Two years after youthful R&B standout Khalid dropped his first album “American Teen,” he’s back in the saddle to showcase the growth and polishing he’s gone through since being that “Young Dumb & Broke” eighteen-year-old we fell in love with. It’s interesting to see how “Free Spirit” documents Khalid’s experiences as a young adult. No longer is he dealing with living with parents and getting in trouble with his mother like he did in “8TEEN.” As an anthology of bad feelings and good intentions, “Free Spirit” manages to maintain a cohesive feeling throughout despite being a lengthy 17 tracks. Musically, “Intro,” the first track, is phenomenal. With the synthesized sting and layered chords, the arrangement is powerful without masking Khalid’s throaty refrains. The singles from “Free Spirit” also excel. In “Better,” Khalid experiments with Auto-Tune in an almost psychedelic way. In the song, he approaches the roller coaster of emotions behind a secret affair. The following track, which doubles as the lead single, is “Talk,” a synthesizer-heavy, syncopated song with a slow-rolling beat. In it, Khalid wants to define the relationship, possibly the friends-with-benefits situation from the previous song. “Can’t we just talk?/ Talk about where we’re goin’/ Before we get lost/ Let me out first/ Can’t get what we want without knowing,” he sings. 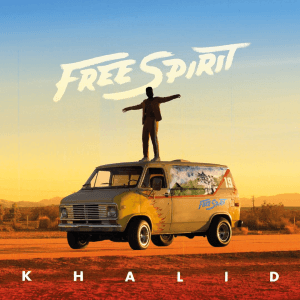 Though it still contains the youthful aspect of growing up, Khalid said “Free Spirit” is a reflection on being young and in the spotlight since his rise to fame in 2017. In an interview with Billboard, Khalid said the transition has been hard. Overall, “Free Spirit” is successful. Khalid pulls off a sophomore album that doesn’t disappoint, and it gives him enough wiggle room to further improve with a hopefully inevitable third album. With the amount of growth he’s had in such a short amount of time, it’ll be exciting to see where he’ll go from here.